Olympic caterers accused of throwing too much food away. The car park where you'll be charged £36 for three hours' parking. Calls for an inquiry into Ian Tomlinson's pathologist. North Circular getting back to normality after flooding. Graham Chapman gets a fake blue plaque in Highgate. A useful video if you ever find yourself stuck in the 1960s and need to use the Tube. 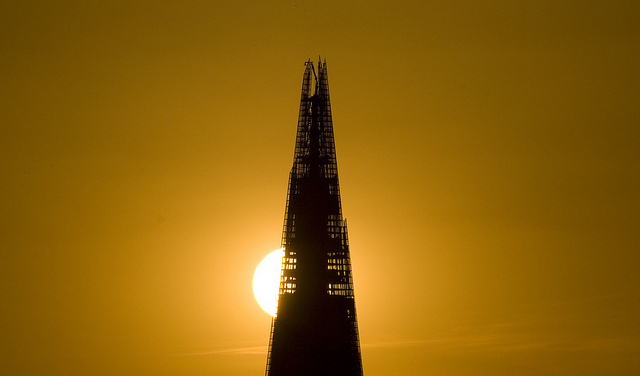 Gorgeous shot of the Shard from Ian Visits in the Londonist Flickr pool.